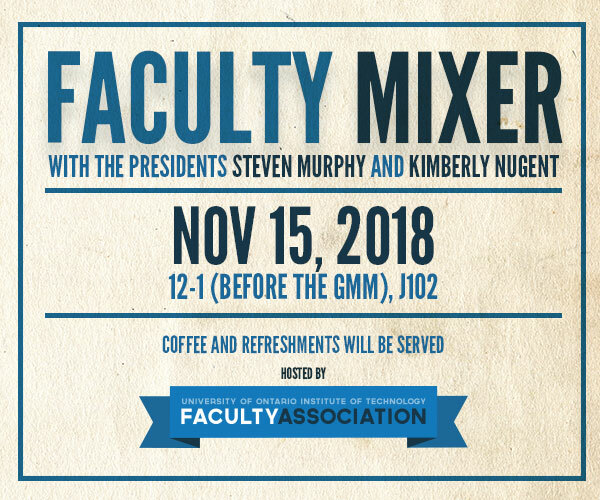 The UOIT Faculty Association invites all Faculty Members to attend a mixer with UOIT President Dr. Steven Murphy and the Association’s President Kimberly Nugent on November 15th beginning at 12pm in room J102 – before the GMM begin at 1pm in the same room. Please RSVP by responding to your calendar invitation for this event! !